Get E-mail Notifications Get notifications when new releases are available. New Calendar time range selection shadow box. 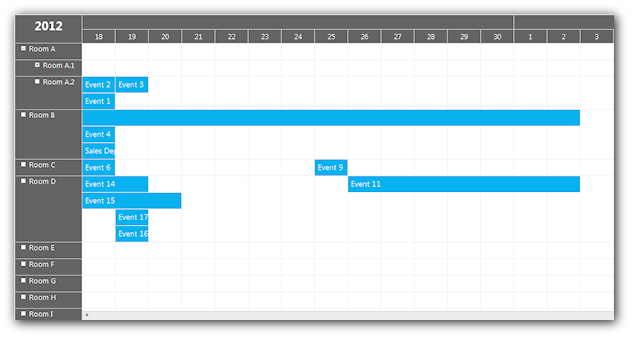 Scheduler: Week Numbers for CellDuration="10800"
Cell header background colors customizable (DayPilotMonth). Multiple resources per day (DayPilotCalendar). Bubble extended: Now it supports time cells and headers as well. Fast refresh CallBack for DayPilotMonth. 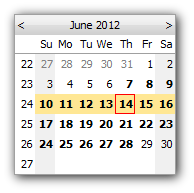 Custom image for DurationBar (DayPilotCalendar). 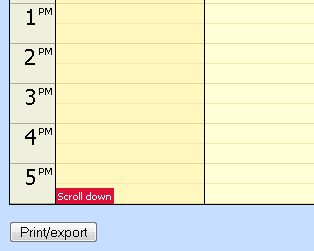 Custom width of DurationBar (DayPilotCalendar). 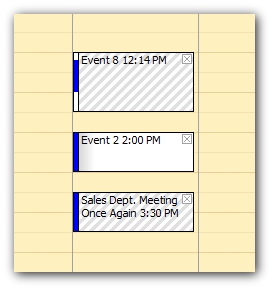 Double scrollbar (vertical and horizontal). Hiding non-business hours (the timeline can be discontinuous). Month view (a new DayPilotMonth control). DayPilotScheduler supports width in percent. Drag&drop from an external source. Sending custom data back to the client using CallBack (allows showing custom messages after a CallBack event). 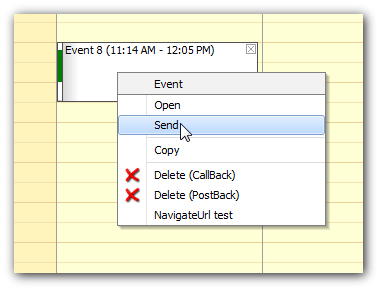 CallBack and PostBack actions enabled for time range context menu. SQL demo that works with SQL Express database. 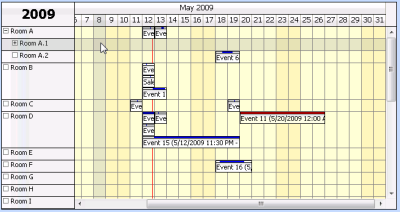 DayPilotVertical control is fully replaced by DayPilotScheduler. 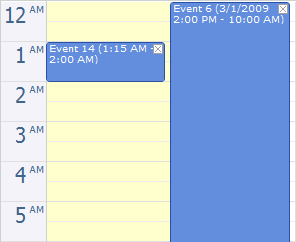 All-day events supported in DayPilotCalendar. DayPilotCalendar callback optimization (response size reduced to 50% in the test case). 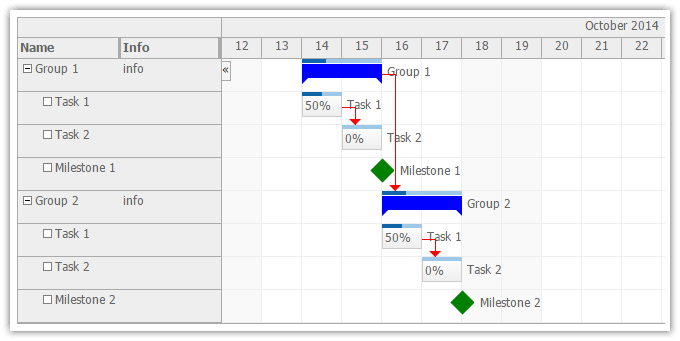 DayPilotScheduler callback optimization (response size reduced to 65% in the test case). 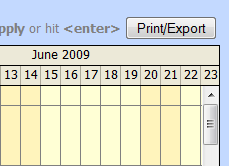 Days property changing using AJAX/Refresh event (DayPilotCalendar). 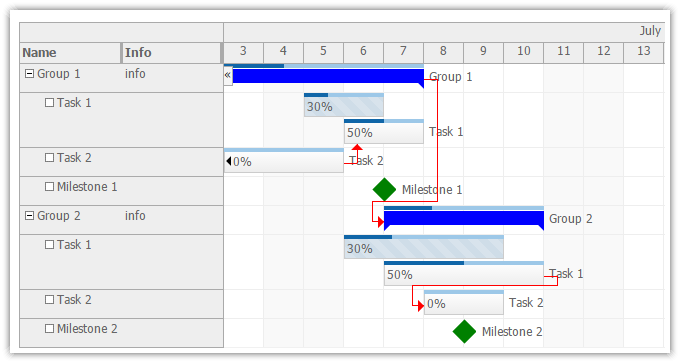 New DayPilotScheduler control for resource planning (day/week/month/year). 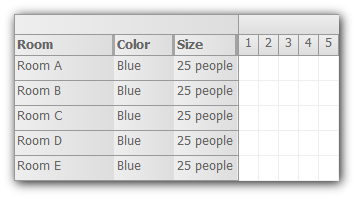 Multiple Tag fields data binding. 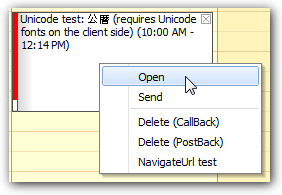 Time range selection context menu. 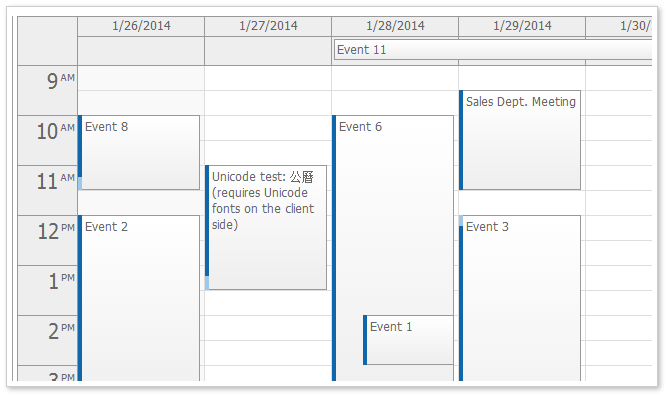 Calendar event selecting (the selected event is enhanced, event handler can be executed). 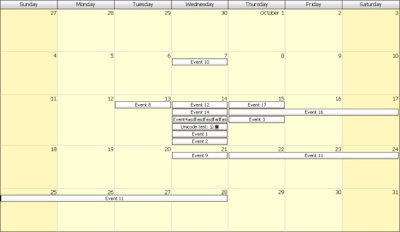 Events AJAX refreshing using client-side API. 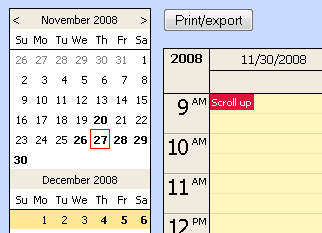 Real event lenght (alignment to the time cells is now optional). ColumnId property added to EventClickEventArgs, EventRightClickEventArgs, EventMenuClickEventArgs, and EventDeleteEventArgs. Vertical views (days/resources on the vertical Y axis). 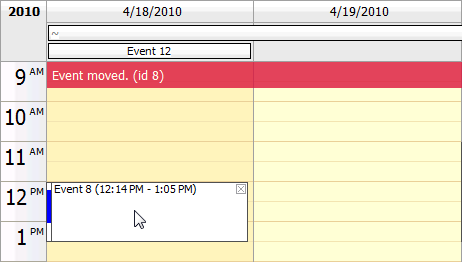 Moving/resizing/clicking/deleting can be disabled per event. BeforeHeaderRender event for header customizations. Simplified mobile view for mobile device. Hours column can be turned off.